Three Ukrainian anti-aircraft missile regiments went over to the forces loyal to the Autonomous Republic of the Crimea (ARK). An ARK spokesman told RIA-Novosti, “In total, more than 700 soldiers and officers declared their readiness to defend the Crimea”. 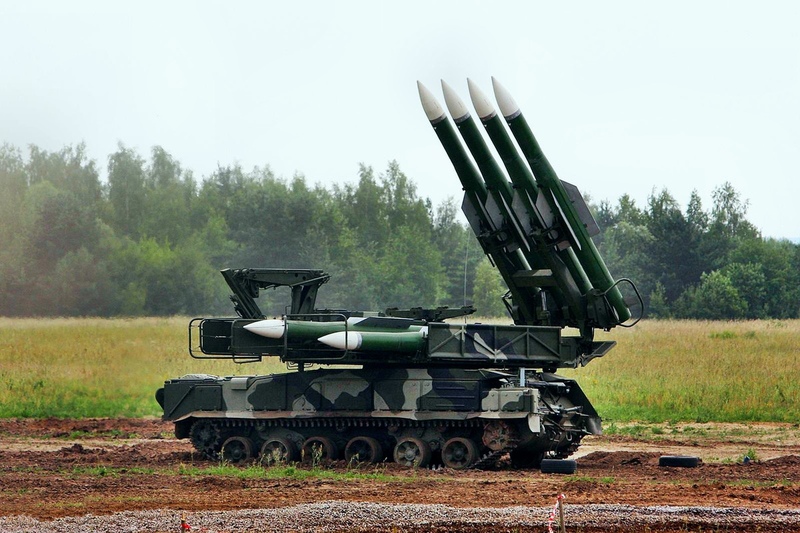 He noted that the 50, 55, and 147 Antiaircraft Missile Regiments stationed in Yalta, Feodosiya, and Cape Fiolent went over to the Crimean government, adding, “These air defence units, now on our side, include more than 20 Buk SAM systems and more than 30 PS-300 SAM systems”. Earlier, the 204 Fighter Air Base, with 49 aircraft on establishment, went over to the ARK. A diplomatic spokesman said that the Ukraine had to call off a Central European summit in Yalta after some European leaders refused to attend the event over the alleged ill-treatment of jailed pro-Western ex-premier Yuliya Timoshenko. “Orange Revolution” princess, Timoshenko, 51, is serving a seven-year sentence for abuse of office following what Western governments called a politically-motivated trial. Aleksandr Dykusarov, a spokesman for the Ukrainian Foreign Ministry, said, “The Ukraine decided to postpone the summit and not to hold it on 11-12 May in Yalta. The event will be held at a later time that we’ll determine through diplomatic channels”. Leaders of Germany, Estonia, Latvia, Czechia, Austria, and Italy said that they’d shun the summit in the Ukrainian Black Sea resort in protest against the way the authorities handled the situation around the former premier, who’s suffering from severe back pain and was diagnosed with a herniated spinal disc. Last week, photos circulated in the media showing Timoshenko with bruises on her body, which she claims prison guards inflicted as they forcibly transferred her to a hospital. The Ukrainian Foreign Ministry said that European leaders refused to attend the summit before the scandal erupted around Timoshenko’s alleged assault and battery in prison.